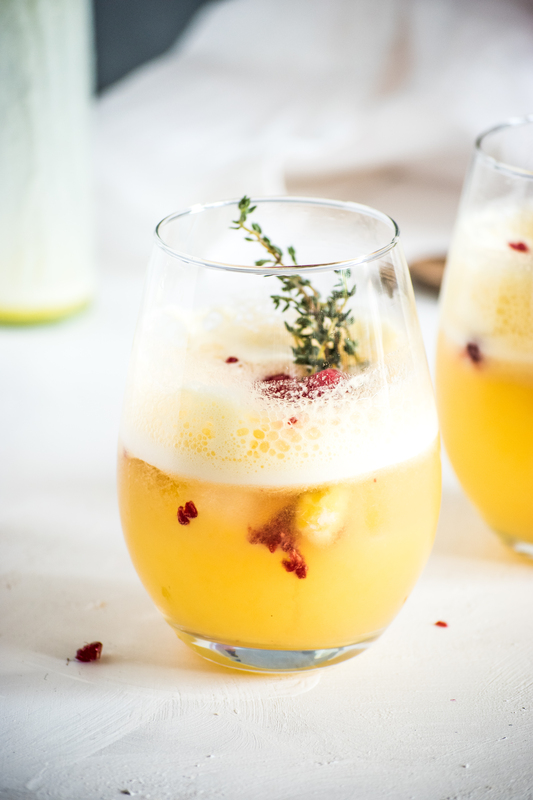 Feeling like a fancy cocktail without a headache the next day? 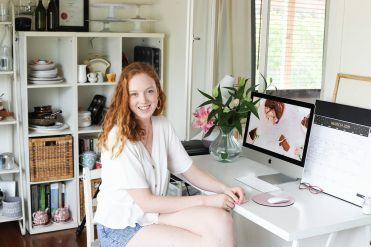 I love to sip on special drinks over the weekend when I have a bit more time to put into it, but I don’t always want the alcohol that comes with cocktails. So…. I present the Pine Tonic Mocktail. 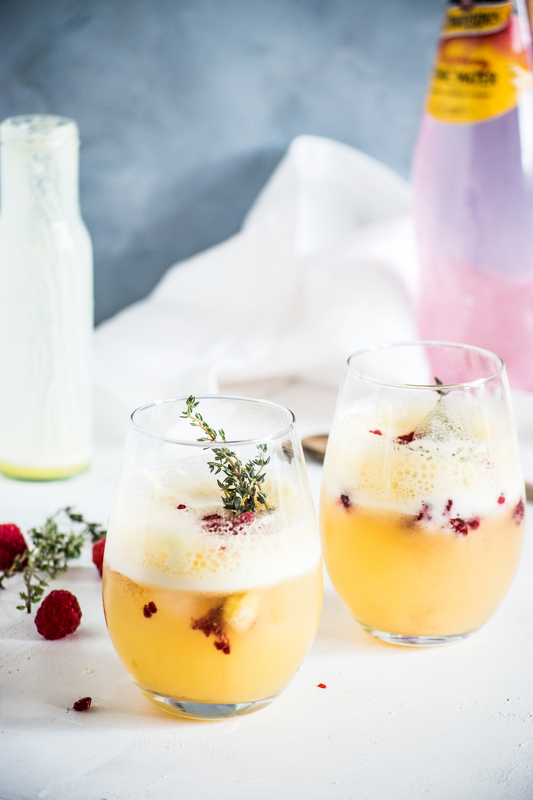 Refreshingly sweet pineapple couple with tart raspberries and tonic. Amazing! Add pineapple and water into a blender and blend on high for 30secs. Put Ice in the bottom of the glasses. 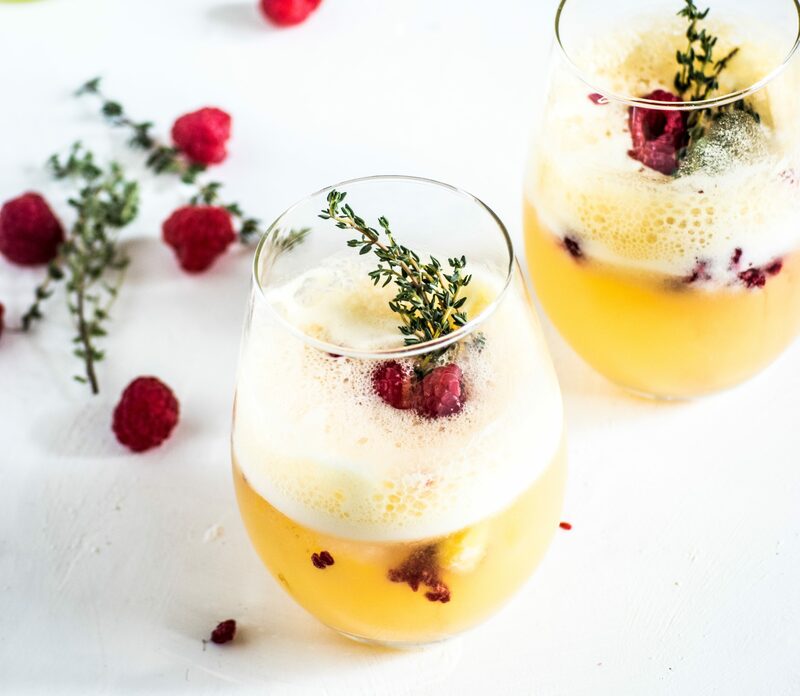 Pour half of the pineapple mixture into each glass, top with raspberry tonic, fresh raspberries and decorate with thyme.